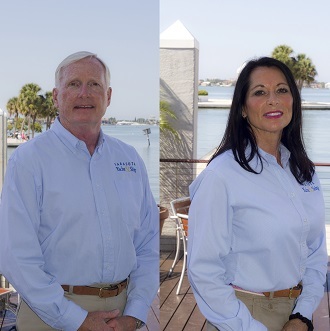 Lynn and Jackie Millikin are avid boaters and both are 100 Ton Master Captains with Towing Certification.They have worked in the boating industry since 2003 as Brokers, Delivery Captains, Boating Instructors and Boat Show Manufacturing Reps. They have owned many different types and sizes of boats/yachts and cruised from the Northern Chesapeake to St. Petersburg. They love to share their passion for boating with both new and experienced boaters. They strive to help them sell their boat or find the "right boat" and then help them feel comfortable in operating it. They are excited about being part of the SYS Team.